Navy-striped white jacket, with entirely lined hood, for baby girl. White cardigan, for baby girl. 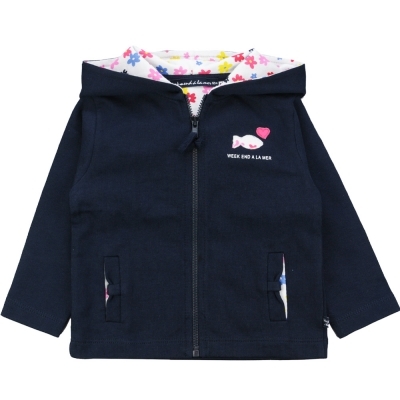 Navy jacket, with entirely lined hood, for baby girl. Navy-striped white sweater, with long sleeves, for baby girl. 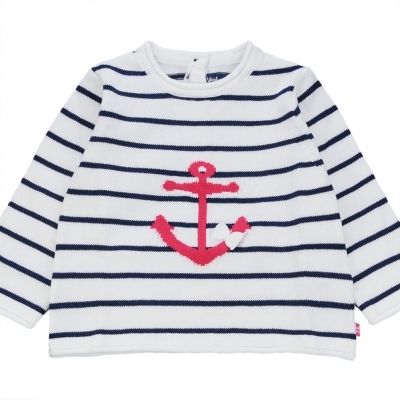 Made in an ultra-soft and supple cotton, this nautical sweater will greatly appeal to your little princess ! We note its superb intarsia details : its fushia anchor on the chest, enhanced by a lovely bow, and its elbow pads, that bring a very fashion look to the model ! Little cardigan, with long sleeves, for baby girl. It has a lovely studs fish enhanced by a nice bow on the sleeve. We also note the rolled-up style on the bottom of the model, for a very girly look ! 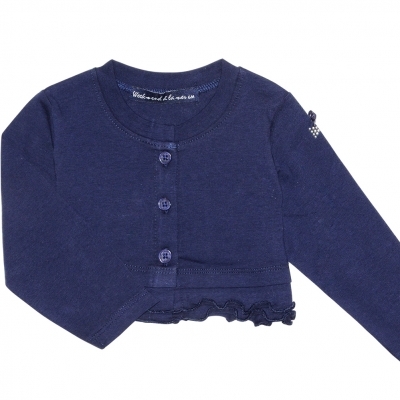 Polar navy jacket, with white dots, for baby girl. The model is provided with a hood, such as 2 discreet pockets. We note the white navy lining in the hood and on the wrists, for a very nice effect when the sleeves are rolled-up ! Winter piece par excellence, this superb dotted navy raincoat is ideal to protect your little princess from cold and rain during winter days ! All over lining, this raincoat ensure an optimal comfort and warmth retention !